We transfer video from VHS-C Video tapes for playback on DVD, USB, computers and phones. Camcorder VHS Compact tapes were used by Panasonic, JVC, Hitachi, Sony, Philips and usually 30 minutes long. Do you have old VHS-C tapes that you recorded using Camcorders or Handycam back in the 80's or 90's. 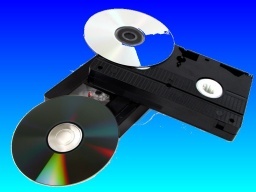 We can transfer the video from the VHSC tape to DVD or convert it to digital file so you can play back on your TV, phone, computer etc and make your own DVDs from it. We can convert your old camcorder Compact VHS tapes to DVD at the highest quality to maintain and preserve the films and movies you have for the future generations to enjoy. Simply email or call us to discuss your requirements - see contact details at the top of this page. VHS-C tapes transfer and conversion from Handycam or Camcorders problems that we recover data from are listed below. 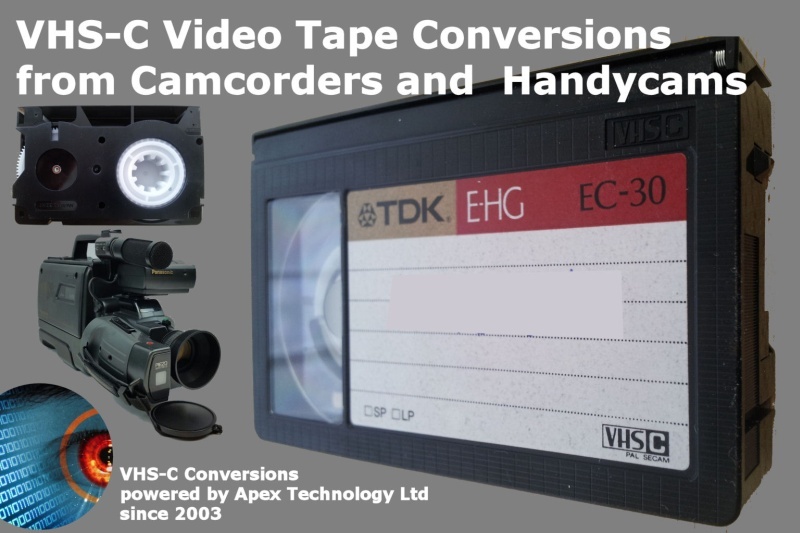 vhs-c vhsc handycam camcorder video tape cassettes transfer and conversion. 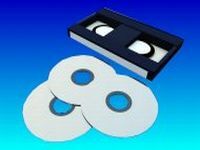 We transfer or convert VHS-C Video Cassette Tapes from Handycam and Camcorders to DVD USB hard disk drives, memory sticks and mpg mpg4 or avi.